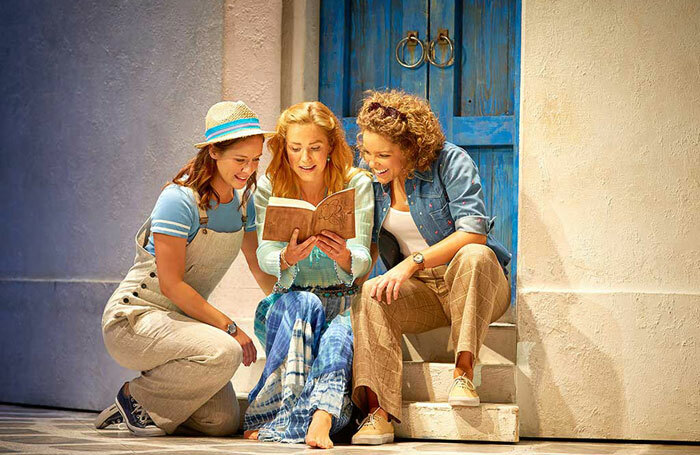 Plans are underway to build a temporary venue in Waterloo that will host a new Mamma Mia! spin-off show. Abba songwriter Bjorn Ulvaeus and producer Ingrid Sutej have applied for planning permission to recreate a Greek taverna in London’s Waterloo area, which will house Mamma Mia! The Party, an immersive stage show inspired by the musical. Featuring new characters and a new story, Mamma Mia! The Party will include some songs from the musical as well as other Abba tracks, performed by a cast of actors and musicians. It is written by Calle Norlen and directed by Roine Soderlundh. Audiences will also be served Mediterranean food as part of the experience, which promises to “transport them to the Greek island paradise” with a recreated taverna, courtyard, olive trees and fountain. The concept has already opened in Stockholm, where it has been running since January 2016. Designed by architects Haworth Tompkins, the site is planned for a currently undeveloped site in Waterloo, which is being developed by social enterprise Coin Street Community Builders. It is hoped that the building could be available for community use when performances are not taking place. Mamma Mia! The Musical will continue to run in the West End at the Novello Theatre.